Agent Provocateur Denver Suspender (£95) Bra (£85) Pant (£95). Since it’s Valentines Day tomorrow, I thought I better do a themed post! Whether valentines has slipped your mind, you want a cheap but sweet gift idea or you want to get creative for your loved one, I’m sure you’ll love the ideas I’ve found below! 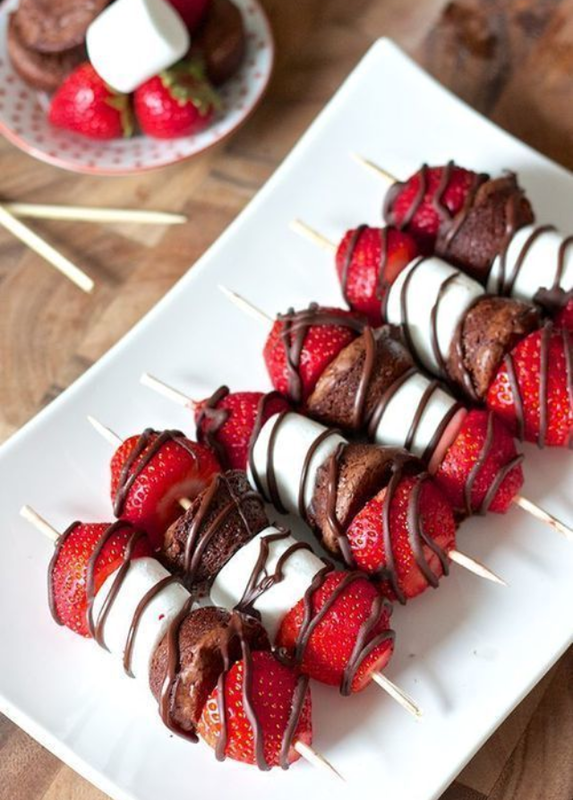 These cute and simple skewers would make a perfect dessert! Pop a strawberry, ready made chocolate brownie and a marshmallow on a skewer and drizzle in chocolate – simple but effective! 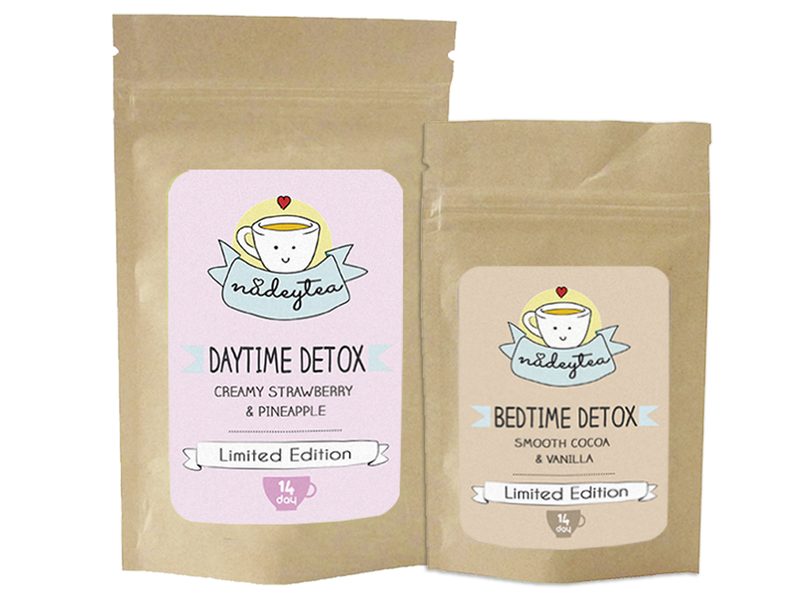 These are so simple but look really cute and thoughtful. 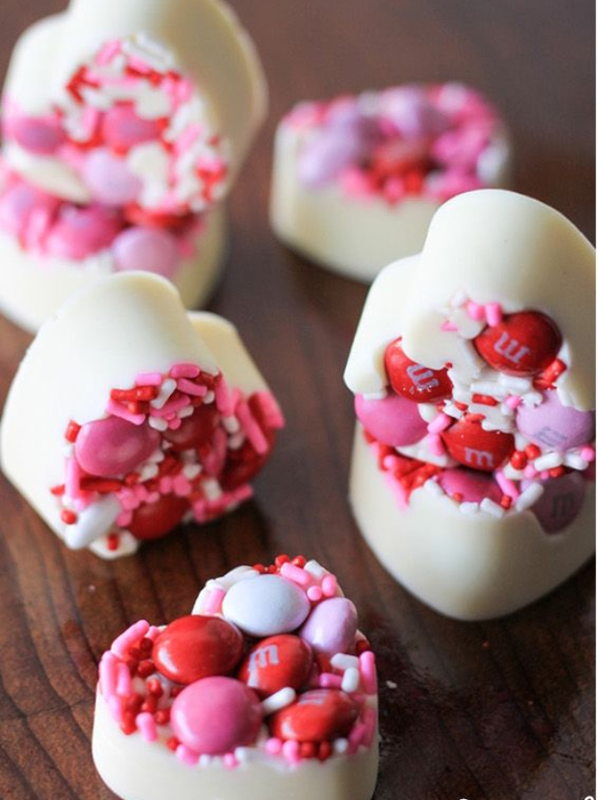 All you have to do is melt some white chocolate and pour it into heart shaped ice cube moulds, sprinkle on some pink and red sweets and voilà! 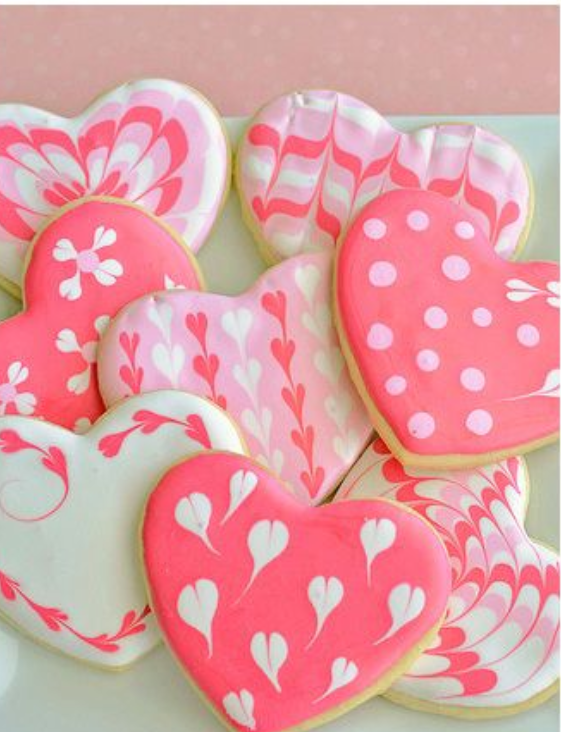 Once they’re cooled, pop them out of the moulds and you’re left with these romantic treats. These can be as simple or as intricate as you choose…. Pop to the supermarket for some plain biscuits and get yourself an icing kit, or do it the good old fashioned way and bake them yourself! You could try this recipe if you’re up for a challenge. 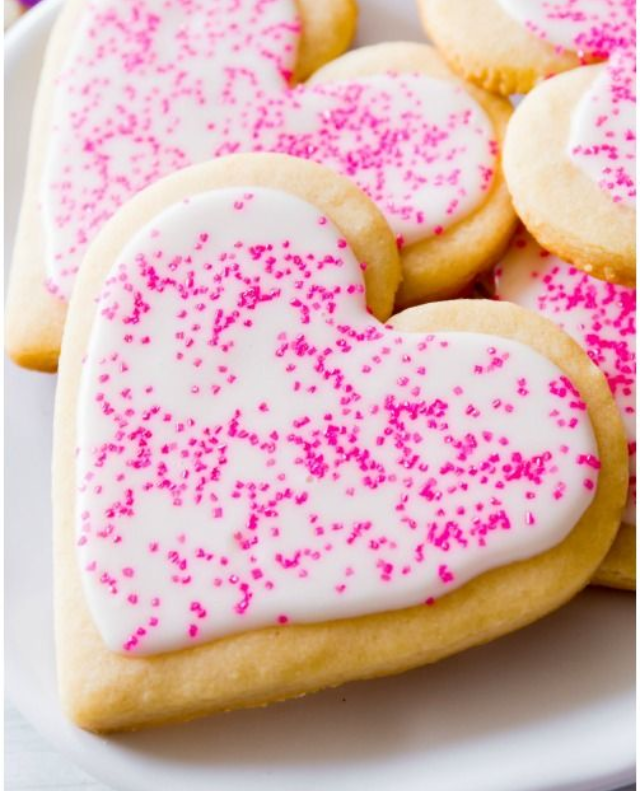 Another really cute idea is these little heart shaped jam tarts. 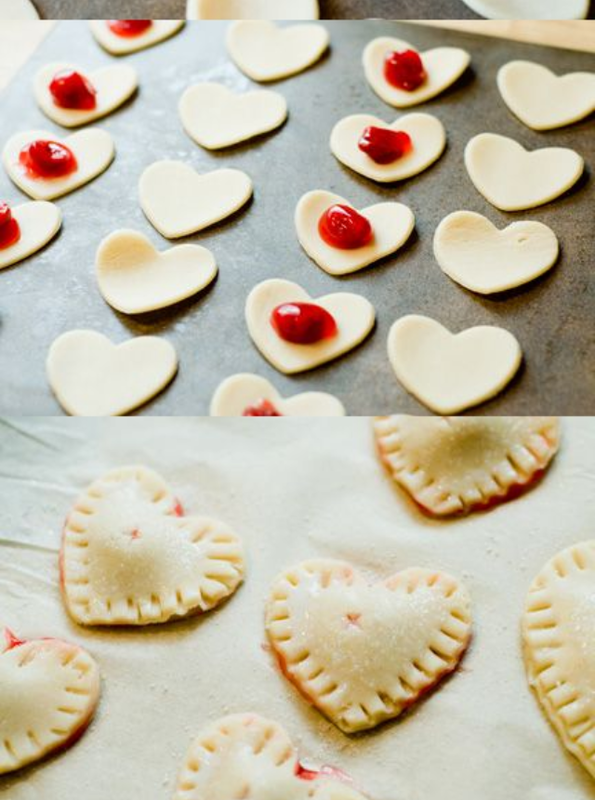 Simply roll out some ready made pastry, cut into hearts, add a tiny bit of strawberry jam, place together and bake! My personal favourites! There’s so much you can do with brownies – white chocolate, milk chocolate, peanut butter, Nutella, Oreo, basically any sweet treat your loved one likes can be added! 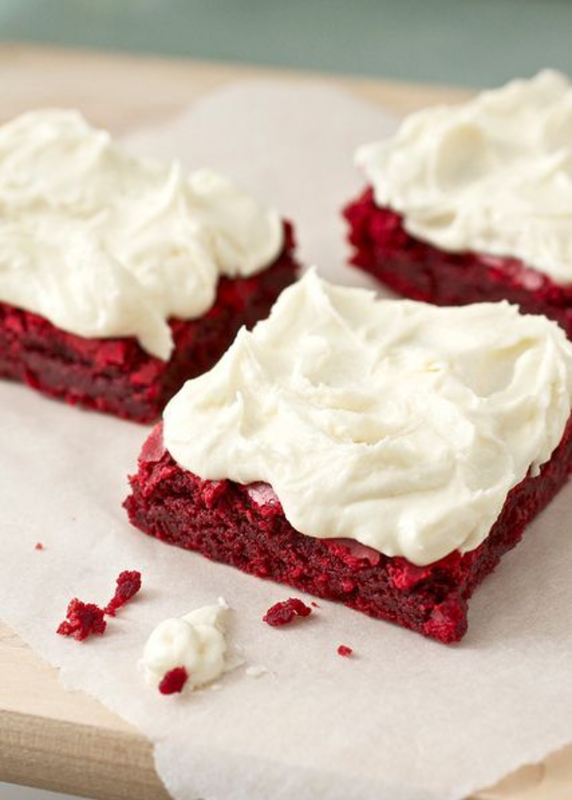 A really great valentines idea is red velvet brownies… I’ve never tried them myself but I’m sure you’ll agree they look amazing. If you’re feeling really brave and creative why not give this recipe a go today. 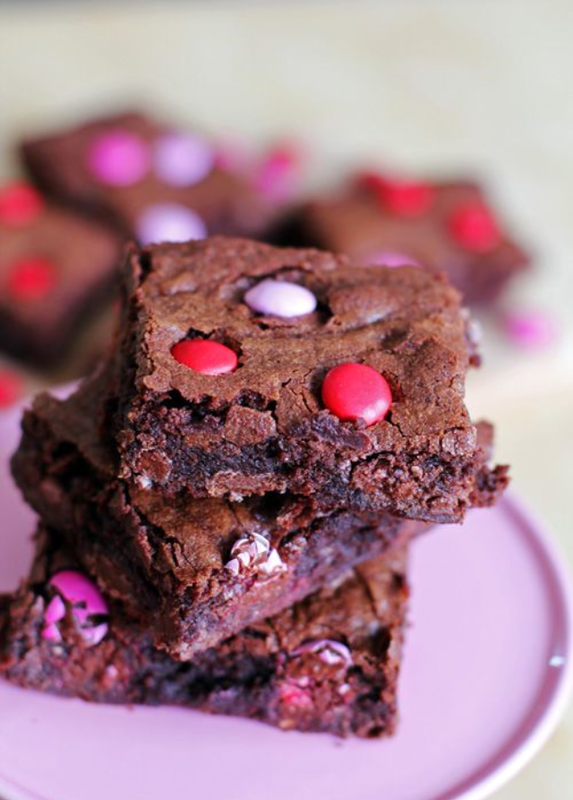 Right now, I’ve got a batch of my boyfriends favourite chocolate fudge brownies cooling, which I’m topping with Nutella and Love Heart sweets! So if you need a last minute gift that’s personal and super sweet, head to the super market and get baking!